A control system is a device or group of devices in charge of managing the behaviour of another device or devices. A clear example of a control system could be the one we have in our fridge at home. We have a pre-set temperature and a control system manages the compressor in order to reach and maintain that temperature. There are two types of control systems, open loop and closed loop. 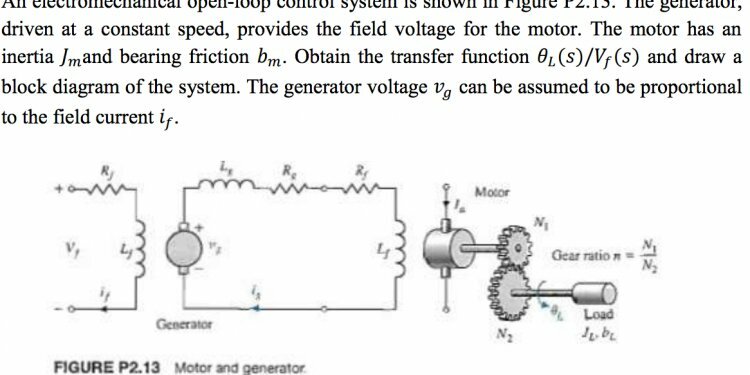 In figure 1.1 we can see the structure of the open loop control system. Figure 1.1-Open loop control system. To explain open loop control systems we can think about the timers for the heating at home. Being the timer what we call “CONTROLLER” and “PLANT” our heater or boiler. How do we operate them? We set a time, the heater is turned ON for this precise time, and then it’s turned OFF when the time is over. Is this useful? The answer is YES but is this efficient; NO. How could this be really efficient? Maybe using a temperature sensor to tell the timer when it has to turn off the heater within the pre-set time. That is an example of a closed loop control system. In figure 1.2 we can see its structure. Figure 1.2-Closed loop control system. We call the signal from the temperature sensor “FEEDBACK”; the one which is going to tell the timer that even while being within the pre-set time, the heater has to be OFF because the desirable temperature has been reached. This kind of control system is the one we have at home, isn’t it? The type of controller used the most in the industrial environment or in our domestic devices is the one called PID. There are three different types of actions in it: the proportional, the derivative and the integral. The proportional action, basically consists (it’s not that simple but we can use this example) of a relay. We have two states ON and OFF, we reach our temperature and the boiler is turned OFF. If the temperature drops, the boiler will be turned ON, that causes gaps of time where the temperature is not the one we have set, so the boiler will be turning itself ON and OFF all the time. With the integral action. The integral action will solve those gaps of dropping temperature, called steady-state errors. Continuing with the boiler example, this control will manage the percentage of power given to the boiler. As soon as we get close to the pre-set temperature the percentage of power will decrease and if the temperature in our house drops it will apply a percentage of power to reach it again smoothly. Considering the error in the temperature measured with the one we set, the derivative action will act against it counting the time spent on dropping or raising temperature and the value of the error. This will make the system more stable and keep the temperature smooth. So, we’ve learnt how our heating is controlled but in most of our houses it’s just one controller to manage all the system; that isn’t very efficient because we have different rooms with different needs. Why don’t we have multiple controllers? Or instead we can have one controller to deal with all the “PLANTS” that we have at home, this system could be iPlace, able to control all our systems being just a single controller. Let´s take the example of the heating system used before; with iPlace we´ll have temperature sensors in each room and those rooms fitted with valves. The system controls each room individually so we are going to have independent temperature data in order to activate or not the valves; which means to be able to have different controllers with just one tool. In the figure 1.3 we can see and example.